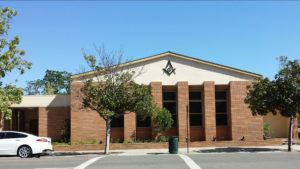 The historic Los Gatos Masonic Center has long been a center for social and business events. Our rental hall is newly remodeled, and ready to accommodate you and your guests, let us help you make your next event a smashing success. Contact Us today! We are interested in becoming your monthly or annual meeting site. Or hosting your Wedding, family reunion, or other special events. Your guests can easily walk to downtown Los Gatos for shopping and amusement. Our easy access Commercial Kitchen provides the modern-day custom restaurant style cooking experience. Our kitchen can support your catering company or Food Truck company into delivery staging. Or your Start-up in search of an easier, moderate or less resource absorbing way to test menus. We can even support restaurant owners looking to supplement their menu with delivery-only concepts, as well as online food-delivery platforms.